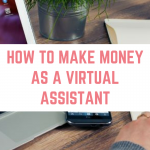 Working from home has opened up a whole world of possibilities for me; I have seen my income rise, I now employ my husband and I enjoy running my business. 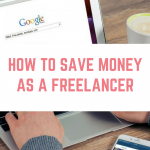 However, I have learned a whole lot during the last 6 months of being self employed. 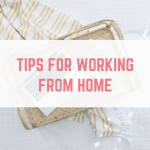 Furniture at Work have asked me to contribute to their Wordplace eBook, which you can download here, so here are a few things I have learned from working from home. I don't live in a clutter free, minimalist house, but I can switch off about that as long as my desk is tidy. I now make it a regular habit to clear my desk and only keep on it what I absolutely need. Once a week I'll also go through any paperwork that has built up in my “to do” box – yes, I have an entire box worth. My desk area is both pretty and functional. 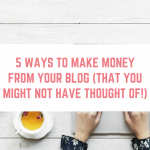 Taking time to find what works for my needs has been worth it – although I did procrastinate on Pinterest a little too much. My workspace definitely isn't Pinterest worthy, but it is functional and fun. 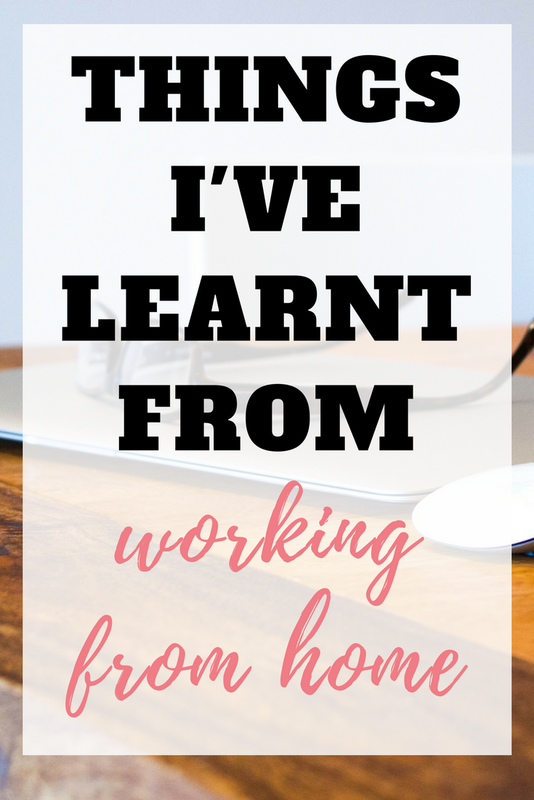 I might work alongside my husband and I am an introvert, but working from home can still be lonely. To combat this I have a great network of people to chat to, both online and “in real life”. These are like minded people who challenge me but who also know the importance of having a break from work. It is great to connect with people online – if my social metre is empty then I can pop on to social media and chat with people. I try to do activities that have me interacting with people outside of the house, even if it is just going to the gym! Working from home means that I feel as though I am always at work. I love what I do but when it comes to relaxing or switching off, I struggle. At least when you go to a traditional job you know your working hours and you can usually switch off after work. To combat this I try to schedule days off in the week where we get out of the house and go somewhere where I can't access my emails – the cinema is great for us because it takes us an hour to drive there, watching the film and an hour driving back where I can completely switch off. I still need to master relaxing at home! This one should have been a no brainer, but I have learned that motivating yourself can be extremely difficult. 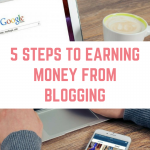 When I was working full time I only had two or three hours per night for my blog and I feel as though I accomplished a lot more in those 2-3 hours than I do in a whole day now! Sitting at my desk at 9am knowing I have the whole day ahead of me means that I find myself looking at Facebook too much, or spending way too much time on Pinterset instead of cracking on. To combat this I am actually reducing my working hours to just 4 a day in a trial to see if this helps to make me more productive! So far, so good! 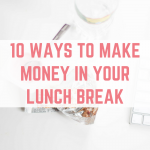 Despite some of these downsides, I would not change anything about working from home! Being your own boss comes with so many fantastic benefits! Previous Post: « When’s the right time to consolidate debt? If I’m honest I too have found that having the whole day stretched out in front of me can make me less productive. But I don’t have many days like that because of the kids, and actually I do get a lot done in short bursts. I’ll stop complaining about it, you’ve encouraged me! I agree with all of these! I work from home and it can get really lonely. My friends husband works from home once a week and sits in a coffee shop for most of the day so that he can feel like he’s surrounded by people! Hi Emma, I loved this post – I can relate to every point. I am happy in my own company, but my hubby goes out to work during the day and the boys are at school. I have to put the TV on just for background noise as it seems so quiet when they’re gone! I don’t think I get lonely so much as feeling isolated; not leaving the same four walls except for the school run! I don’t like to take a walk half-way through the day or anything because it’s like I’m wasting time I could be working. I do try to have fixed working hours as the whole point of being self-employed was to fit around my family and be there for my boys growing up, but at the moment I feel like I am connected to work 24/7. I really struggle to cut off and I don’t like that. It doesn’t help because although I have a dedicated workspace, it is in the corner of our living room as we have no spare rooms (my boys share a room as it is). My personal phone is also my work phone so I know if there are emails waiting! I have worked from home for the last 10 years (doing other things) and have found some other side effects you don’t think of when you start out. Having easy access to the fridge can be tricky! I also drink way too much coffee 🙂 I don’t find motivating myself hard, but I do find that my most productive hours keep clashing with the hours that are supposed to be my downtime. The site happens to be busier around teatime onwards but I get up to drop hubby at work at 5am so it’s getting on for my bedtime by then! 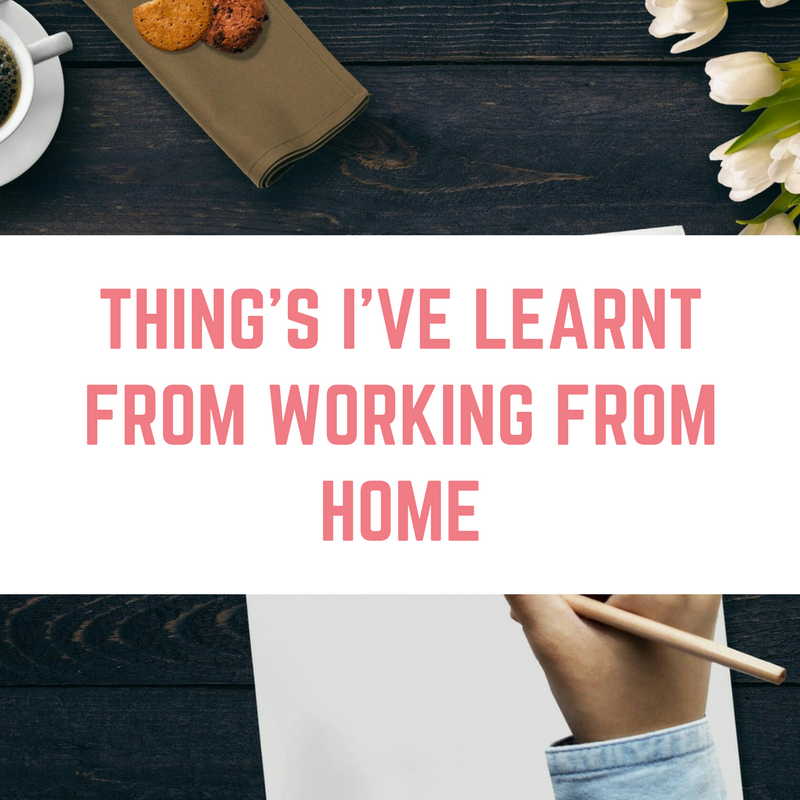 I still think working from home beats a regular job hands down, but you definitely have to be disciplined and ideally pick something you enjoy!